The Bissell green machine reviews will help you to decide whether you need a Bissell little green or a Bissell Big green machine in your home. 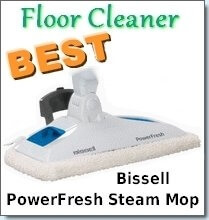 The Bissell brand is synonymous with deep carpet cleaning. They are innovative and are constantly conducting market research to determine their consumer’s needs. 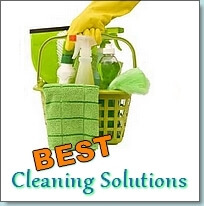 As a result of this research, it has been found that people needed a cleaner for small stains but also a cleaner for complete carpet cleaning. Many consumers were dissatisfied that they couldn’t get a smaller carpet steam cleaner to spot clean food and drink spills. Who wants to pull out a large vacuum to clean one small spill? That’s right- no one. As a result, Bissell developed a line of small handheld carpet cleaners which pack as much cleaning punch as the bigger cleaners and is referred to as the Bissell Little Green Line. They are all green machines. This is stated in their product name, but what makes them green? The sustainable and ergonomic design coupled with special technology which reduces the amount of waste produced, ensures that this is a green friendly product. The similar semi-circular design and easy grip feature actually make these cleaners fun and easy to use. Each Bissell green machine has two translucent tanks placed on each side; one for cleaning solution and the other for the dirty extracted solution. This ensures that there is no cross contamination and disposal of the water is simple. 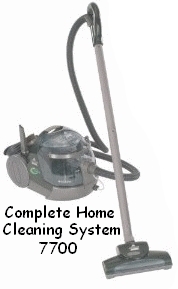 Each one comes with handy additional attachments to clean stairs, crevices and other hard to reach places. This is just a short summary, for a full review of each machine, check out our Bissell little green review. In addition to the little green line, Bissell developed the big green line for consumers who wanted a carpet steam cleaner on the level of professional carpet cleaners. These two cleaners are quite different from each other. 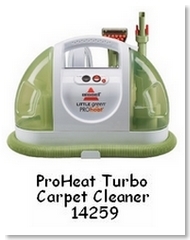 The Bissell 7700 can be used for carpets as well as other types of floors. 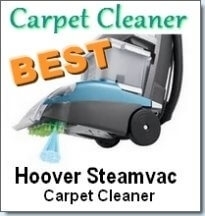 This cleaner offers a 3 in1 service as it can vacuum, deep clean carpets and wash sealed hardwood floors. Even though it offers a lot, the price is very competitive at under $220. 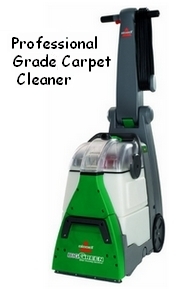 The Bissell Big Green Deep Cleaning Professional Grade machine is specially designed to only clean your carpets. 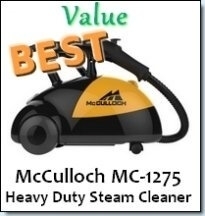 This is a heavy duty cleaner which can be used in an office setting or for the home owner who wants a professional level of clean. 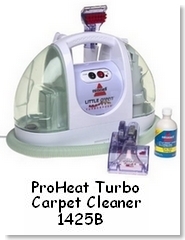 It is more powerful than the average carpet cleaner and offers the ability to clean and dry your carpets 30% faster than other machines. For a more detailed look at the impressive Bissell Green Machines visit the Bissell Big Green Machine review page.